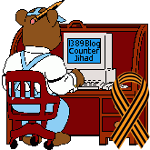 ISIS to Ferguson rioters: “We hear you and we will help you if you accept Islam” — 1389 Blog - Counterjihad! As we have pointed out many times, Islam is catnip for angry people in general, and for crazy angry people in particular. Islam holds a particular attraction for convicts and for those pursuing a criminal lifestyle. That is because Islam endorses criminal behavior as long as it is perpetrated against infidels (that’s us). And for many decades, Muslim organizations have waged a successful campaign to convert and radicalize African-American men to Islam. Jihad Watch has a category link for jihad in prisons. One out of three African-American inmates in U.S. prisons convert to Islam while incarcerated. An estimated 35,000 – 40,000 inmates convert to Islam each year, and that 15% of the total U.S. prison population or 350,000 inmates are Muslim, with many of them radicalized. I don’t know how much more black liberal victim-blaming Ferguson Racism I can take! Murderer of NYPD officers Rafael Ramos and Wenjian Liu was a Muslim jihadi — 1389 Blog - Counterjihad!